Can you believe it, springtime is already here! But hey, no complaining over here. Springtime is one of my most favorite times of the year. This is the season of rebirth. Even though I live in Florida where seasons don't really exist, you can still see the change in the landscape. The grass is greener. More flowers are blooming and there's literally a song in the air with all the new baby birds flying around. I simply just love it! Another thing I love about this time of year is spring cleaning. My type of "spring cleaning" is a little bit different than what you may be used to. My version of spring cleaning is actually for your face. Yep, you read that right! I mean, I take care of my skin all year round but usually during late winter I tend to get a little bit lazy and skip out on the extra things that make a world of difference on my skin. This results in my skin looking dry and dull. If your skin is looking dry and dull, I’ve got the perfect DIY face mask for you. 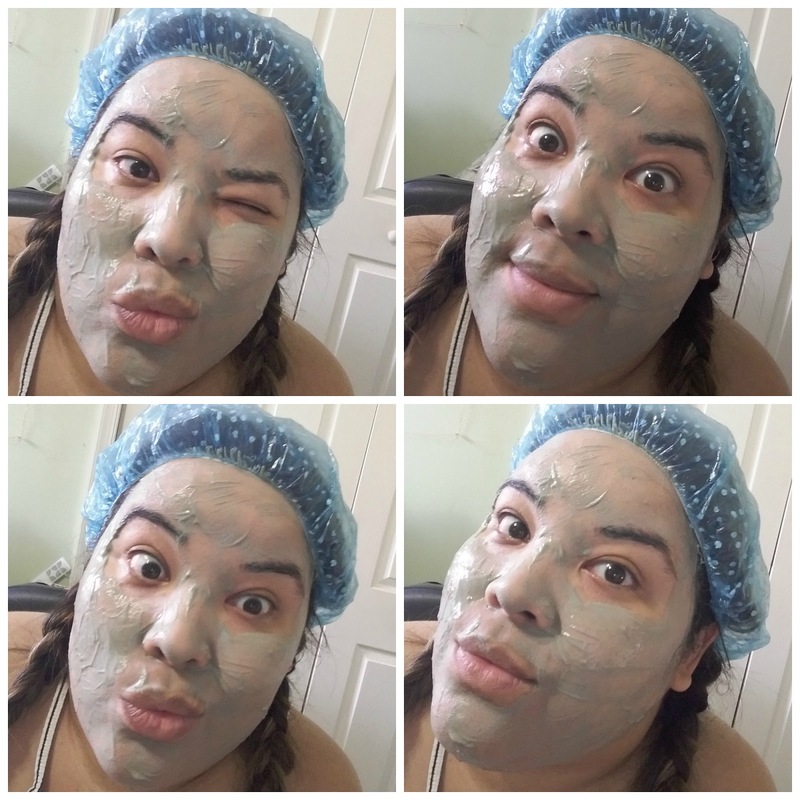 So if you have never done an at-home facial but always wondered how to go about it, well wonder no more because I'm about to share with you my at-home facial routine. 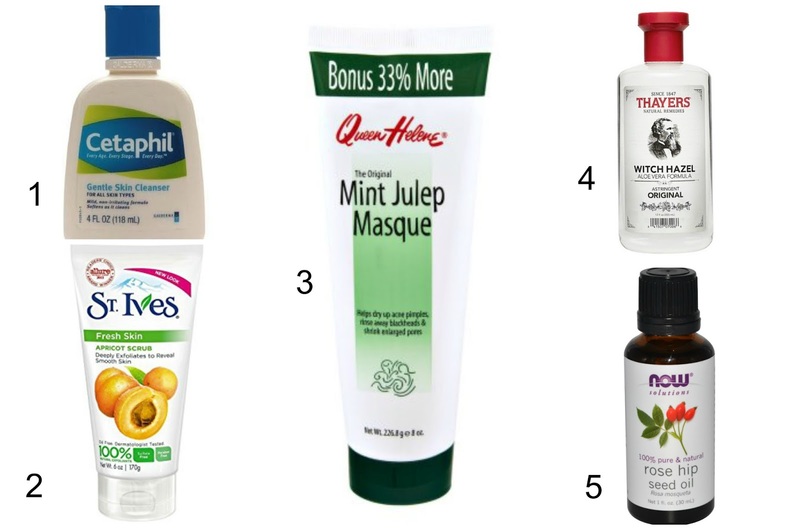 My go to at-home facial is rather simple and it only consists of five steps. Please note that the following products are recommendations, not must haves. If you own something similar use what you’ve got girl! Exfoliate: St. Ives Apricot Facial Scrub. You can also substitute with 1 tablespoon of coconut oil and 1 tablespoon of sugar mixed together. If you have limited hand mobility and need complete assistance like me, you will find these steps really easy to follow or easy to guide your care attendant through. Cleanse your face with your cleanser of choice thoroughly to get rid of any dirt and oil. I usually like to either use a face towel or a gentle face brush to do this. I feel like I get my face cleaner that way than just having my mom or the person who is assisting me use their bare hands. After you're done cleansing rinse with warm water and lightly pat your face with a clean towel, making sure not to leave it completely dry. Now that your face is nice and clean and a bit moist, squeeze a grape size amount of the facial scrub onto your fingers and dab a little on the forehead, cheeks, nose and chin area. Start massaging it in a circular motion all throughout the face avoiding the eye area. This will help lift up all the dead skin that has been making the skin look dull. It also promotes good circulation as you gently massage in a circular motion. I usually like to do this for about 3 to 5 minutes; then it's time to rinse again with warm water or with a warm washcloth. Okay now it’s mask time. Just like the facial scrub you're going to squeeze out enough to spread a light layer on the forehead, cheeks, nose and chin making sure to avoid the eye area. This part can get a little bit messy but it is one of my favorite parts about getting a facial. Unlike Step Two, you have to wait a little bit longer to remove the mask. I usually like to give it between 15 to 20 minutes or until it is fully dry. During that time you can check your phone, read a book or just simply sit back, relax and take a little 20 minute nap. This is your at-home pampering session so you do whatever you wish to do. In my case I chose to take selfies as you can see here. After the mask has already dried and served its purpose pulling out all those yucky pore clogging toxins it is time to remove it. For this I like to initially use a damp warm cloth followed by a few splashes of cool water to remove any remnants of the mask. After you take the mask off your face will feel so refreshed, almost like it can breathe again. When that happens you know the mask did its job. In this step, we simply tone the skin by soaking a cotton round with either witch hazel, rosewater or whatever toner of your choice. We do this to calm the skin and to balance the pH. It also helps get rid of any left over mask that might have been left on the face. Now for the final step, all we have to do is moisturize the skin to bring all the hydration back in. 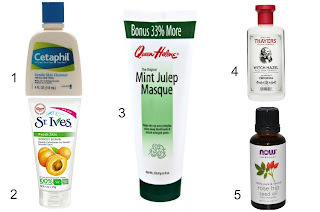 For this you can use whatever moisturizer you are currently using that works best for your skin. Right now I am very much into oils so my current moisturizer is Rosehip oil. I love it because not only is it natural and full of antioxidants but it also works great with my skin. Coconut oil also work just as great in case you have that around and want to give it a try. So as you can see achieving radiant skin at home just in time for spring can be very simple. Of course, I'm not saying that this DIY facial should replace seeing a professional but as many of us know not all spas are accessible. I have experienced firsthand how many of these places either have steps to get into the facility or rooms that are sometimes too small to fit our wheelchairs. Also the high tables, which can make it hard for transfers especially for those of us who have very little upper body strength. Personally, I just feel like it can be a little too much and instead of being a relaxing experience it becomes a more stressful one. However, at home I can just diffuse some essential lavender oil, turn on some relaxing music and just pamper myself at my own pace without the hassle and, not to mention, the price tag. I hope that you get to do it too! Trust me you won't regret it! Kirsy Rodriguez is 34 years old and was born in the Dominican Republic but raised in New York City. Kirsy was born with a benign tumor between C2-C7 of the spine. Though she was able to walk when younger (with some difficulty) it wasn't until her second surgery in 1996, to reduce the size of the tumor, that left her requiring a wheelchair for mobility. In recent years her physical condition has decreased but her spirit and will to overcome the barriers that she sometimes faces have only gotten stronger. After graduating high school Kirsy briefly worked with a theater company as a teaching artist which was a great memorable experience for her. 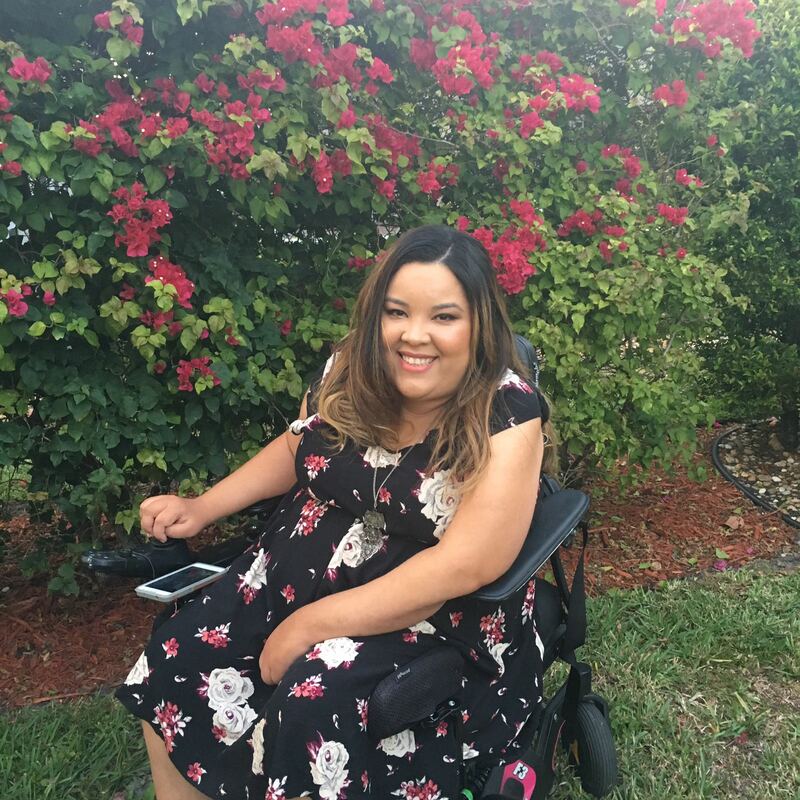 Later on she attended college and received an Associate's in Mental Health and Human Services and through a work readiness program she got to internship at an organization specifically for women with disabilities. There she was given the opportunity to create a workshop titled: “The Do's and Don'ts of Fashion in the Workplace” where she taught young women with various disabilities how to dress for a job interview as well as how to apply makeup. Not only was this a great learning experience for her but one that was very rewarding as well. 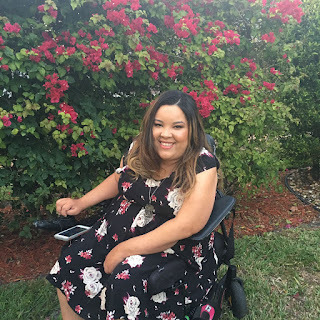 In 2014 she moved from Brooklyn New York to South Florida and there she launched her personal blog titled “Barrier Free Me”. On her site she shares her love of fashion and beauty as well as other things that are close to her heart. Currently Kirsy is co–leading a faith-based support and empowerment group for individuals with chronic illnesses and disabilities at her local church which she is very passionate about.